Michael A. Pancier is a Miami native and currently a shareholder with the firm Michael A. Pancier, P.A., located in Pembroke Pines. Florida and practices in the areas of Wage and Hour Law, FLSA Collective Actions, Employment, Public Employment Labor Relations & Arbitrations; Law Enforcement, Housing Discrimination, Civil Rights, Premises Liability Defense, Election, Trial Practice, and Appellate Practice law. 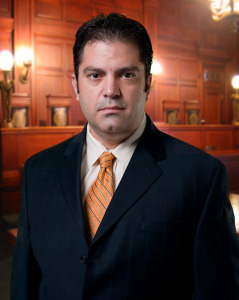 Mr. Pancier has been actively involved in an extremely active trial and appellate practice since 1992, litigating numerous cases in the United States District Courts, the United States Courts of Appeals, the United States Supreme Court and the Florida County and Circuit Courts through the trial and appellate levels. Mr. Pancier’s practice consists primarily of federal and state labor and employment litigation representing both employees and management in private and public employment litigation under the Fair Labor Standards Act, Title VII of the Civil Rights Act of 1964, the Americans with Disabilities Act, the Age Discrimination in Employment Act, the Family Medical Leave Act, ERISA, civil rights cases arising under 42 U.S.C. §§ 1981, 1982, 1983, 1985, as well as public and private whistleblower actions, wage and hour litigation, and other employee rights cases. Mr. Pancier also advises clients concerning employment agreements, employment policies design and review, contract negotiations, and wage and hour compliance. Mr. Pancier obtained major victories in obtaining summary judgment for the employers in three FLSA overtime class action cases in Able v. Southern Shuttle, 620 F.3d 1272 (11th Cir. 2010); involving the motor carrier exemption; Posley v. Eckerd Corp., 433 F.Supp.2d 1287 (S.D. Fla., 2006); involving the managerial exemption, and in Alvarado v. I.G.W.T. Delivery Systems, Inc., 410 F.Supp. 2d 1272 (S.D., Fla. 2006), involving the motor carrier exemption. In the Posely case, Mr. Pancier also successfully argued that a longstanding Florida law (which imposed an undue burden on employers regarding payment for working more than ten hours per day) was unconstitutional. Mr. Pancier has appeared before the United States Court of Appeals for the Second and Eleventh Circuits and successfully argued cases of great public importance, including Johnson v. City of Fort Lauderdale, 148 F.3d 1231 (11th Cir. 1998), in which the Eleventh Circuit held that the Civil Rights Act of 1991 did not render Title VII and section 1981 the exclusive remedies for employment discrimination by a public employer, and therefore did not preempt a constitutional cause of action under section 1983. Cardelle v. Miami Beach Fraternal Order of Police, 593 Fed.Appx. 898, 2014 WL 6653679 (11th Cir. 2014); Able v. Southern Shuttle, 631 F.3d 1210 (11th Cir. 2011); Mulhall v. Uited Here Local 355, 618 F.3d 1279 (11th Cir. 2010); Rodrique v. Eckerd Corp., 225 Fed.Appx. 792, 2007 WL 906451 (11th Cir. 2007); Damon v. Fleming Supermarkets of Florida, Inc., 196 F.3d 1354 (11th Cir., 1999); Johnson v. City of Fort Lauderdale, 148 F.3d 1228, (11th Cir. 1998); Mederos v. Garcia, 2011 WL 13172947 (S.D. Fla. 2011); Posley v. Eckerd Corp., 433 F.Supp.2d 1287 (S.D. Fla., 2006); Alvarado v. I.G.W.T. Delivery Systems, Inc., 410 F.Supp.2d 1272 (S.D., Fla., 2006); DeWitt v. Daley, 336 B.R. 552 (S.D., Fla., 2006); Richardson v. Tricom Pictures & Productions, Inc., 334 F.Supp. 2d 1303 (S.D., Fla. 2004); Pope v. Lil Abner’s Corp., 92 F.Supp. 2d 1327 (S.D., Fla. 2000); Amato v. City of Miami Beach, 208 So.3d 235 (Fla. 3d DCA 2016); Jackson v. Kleen 1, LLC, – So.3d-, 2017 WL 6503188 (Fla. 3d DCA 2017); Rustowicz v. North Broward Hosp. Dist., 174 So.3d 414 (Fla. 4th DCA 2015); Maestri v. Florida Sunrise, Ltd., 953 So.2d 582 (Fla. 4th DCA 2007); HTS Towing, Inc. v. Broward County, 852 So.2d 382 (Fla. 4th DCA 2003).